When playing lesser-skilled poker players, keeping it simple is a first step to maximizing profit. Knowing when to value bet and not tapping the glass are crucial when up against bad poker players. 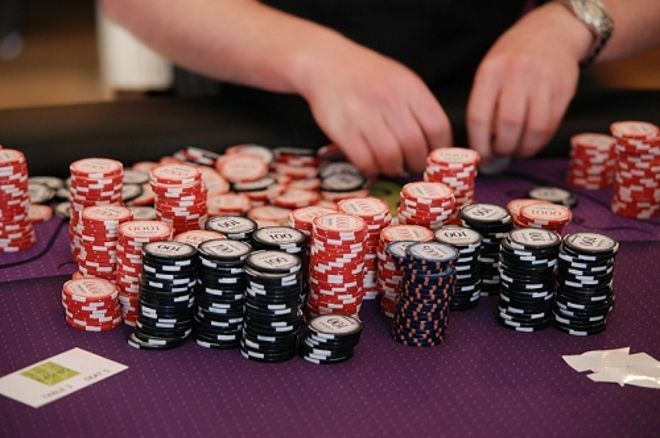 We have all been in a situation where we find ourselves playing poker with opponents whom we would consider to be bad at the game, yet no matter what we do we cannot seem to get any chips off them. The key to knowing how to beat bad poker players is using their own weaknesses and limited knowledge against them — more on that in a moment. First, however, let’s get one thing out in the open before we continue — you want there to be bad poker players in your games. In fact, you need these weaker opponents because they help pad your bankroll as you will win the majority of your money from bad poker players. Yes, they can be frustrating to play against sometimes. But once you learn how to play against bad poker players you will be wishing there were more of them. Also worth considering is the fact that if you cannot figure out how to beat bad poker players, then you might well be in trouble. There is a tongue-in-cheek reply to people who bemoan their bad luck against weaker players that says “move up where they respect your raises.” Don’t do this — just don’t — because if you can’t beat players who have limited skills, you’re likely going to be crushed by opponents who actually know what they’re doing. Speaking from my own personal experiences at the poker tables, players often struggle to beat bad players through their own actions. It is something that we as poker players don’t care to admit. After all, we’re all amazing players, right? But keep reading and you will see what I mean. There are times when you have to think outside of the box in order to maximize the value you extract from a hand. I sometimes play in a live cash game where 90% of the players would be considered bad. Occasionally, a friend of mine, who is competent at the game, joins in and when I find myself in pots against him I have to mix things up to try and win. However, against the bad poker players I keep things simple. Why? Because they lack the knowledge and skills to think about much else beyond their own holding. Don’t waste your time running an elaborate bluff against such players, because it will be lost on those thinking about poker on a low level. Save the tricks for players who think more deeply about the game. This is similar to keeping matters simple. Bad players come in many forms including being too aggressive, too passive, too tight, or too loose in their style of play. A hand I played quite some time ago springs to mind, one in which I raised from early position with and a loose-passive player who would be considered a calling station called from the big blind. The bad player then check-called my bets on all three streets of an board and won the hand with . When a calling station calls both a flop and a turn bet, you can bet your bottom dollar the player has a piece of the board and is calling a river bet, too. Such players are not thinking about what you have. They have a pair and that is the nuts to them, and trying to push them off any piece of the board is just spewing chips away. Another example of the importance of listening to what lesser-skilled players are telling you with their actions would be a passive player who suddenly comes out betting or, worse still, raising. Even if the only conceivable hand your opponent could have to warrant such action is something as poor as to fill a straight, the player probably has it because passive players tend to bet only when they’re very strong, and will just call when they’re weak. Okay, perhaps not to death, but you get where I’m coming from. In the example above, had my hand been (making me trips by the river), I could have not only played the hand similarly, but could have likely bet even larger amounts to maximize my value because Mister had shown signs he was not going away. Always value bet your strong hands against bad poker players, especially if they have demonstrated a willingness to go to showdown with weak ones. That said, be careful if you get to the river and they suddenly stick in a raise, as river raises from these players almost always indicate very strong hands. Some poker players are bad because they don’t care about learning the game. Others are bad because they’re new to poker and have yet to gather enough experience to know how to approach different scenarios. Regardless of the reasons for their poor poker skills, you should never berate them for playing the way they do. You want these players to keep making the same mistakes over and over, even if they are getting lucky against you. If you begin giving them coaching — asking (for example) “How on Earth did you play like that when I represented at least top pair?” — they are going to consider why they have been called out and as a result start thinking about their play more. Once they start that process of self-evaluation, they become much less likely to make the same mistake again. Alternatively, following such criticism they could simply get up, walk away, and not join your game again, removing a significant amount of expected value from your session while leaving you with better-skilled players who are harder to beat. As the saying goes, you’ll never make any money from poker if you are the sixth-best player in the world and you continually sit with the top five players. Embrace the fact that bad players don’t know what they are doing, and let them donate a couple of buy-ins here and there through their own ineptitude — that’s how you play against bad poker players.